A ViewKey allows you to share a category with anyone (clients/friends/family/ect) and allow them to view the category's rankings in real time - but they can't modify or delete anything. There are two (2) types of ViewKeys: normal ViewKeys, white label ViewKeys. 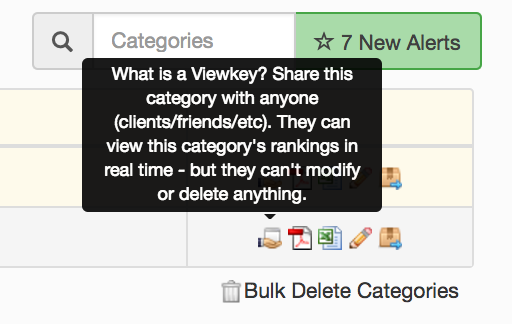 To generate a ViewKey, proceed to your dashboard and click on the share icon to the right of the category. A section will open up containing both normal and whitelabel ViewKeys. The important areas have been highlighted below. A generic domain can be replaced in (seranktracker.com) instead of serpbook.com by clicking on "Enable White Label Domain". ViewKeys can be reset by clicking on "Reset ViewKey" on the bottom left corner when the ViewKey section is open. Once reset, the existing ViewKey link will no longer work. Open through the category in the menu and select "Get ViewKey Link". 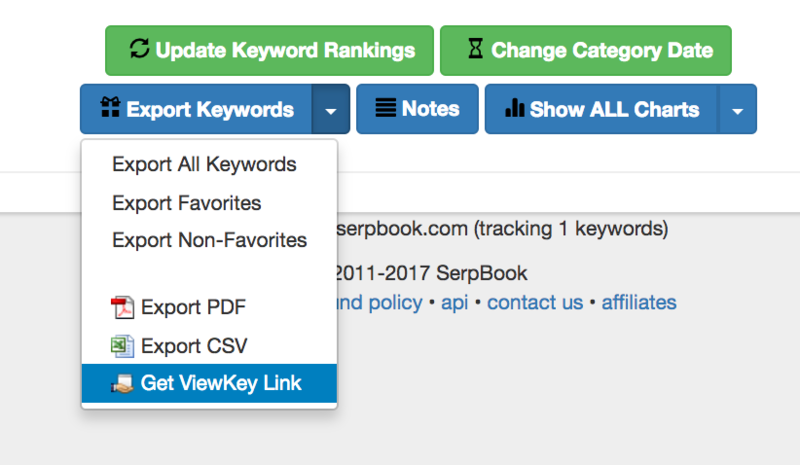 On the category page at the bottom, selecting "Export keywords"
Normal ViewKeys allow you to share a category exactly the way you see the category. The only difference is that the user cannot delete or add any keywords. 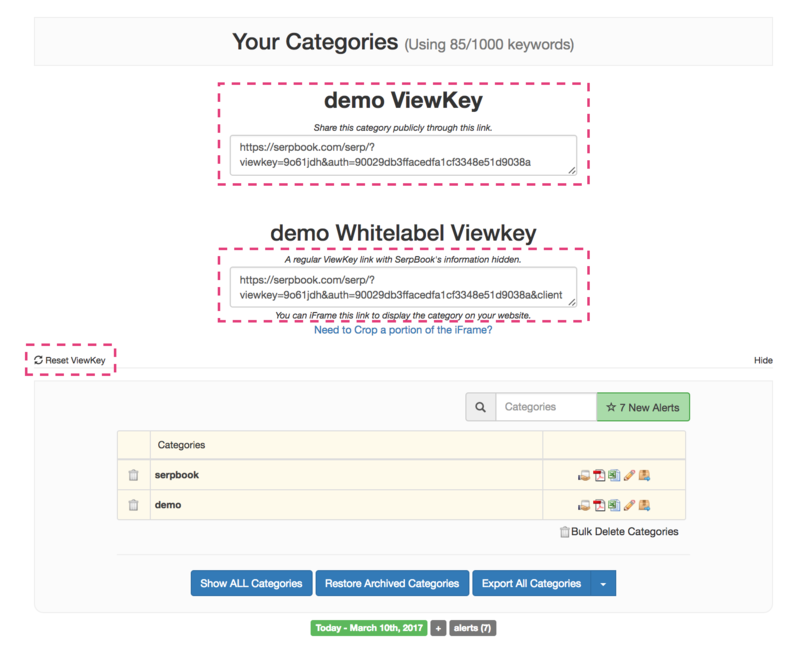 White label ViewKeys are designed for SEO agencies, companies, and other users who would like to whitelabel SerpBook's data. 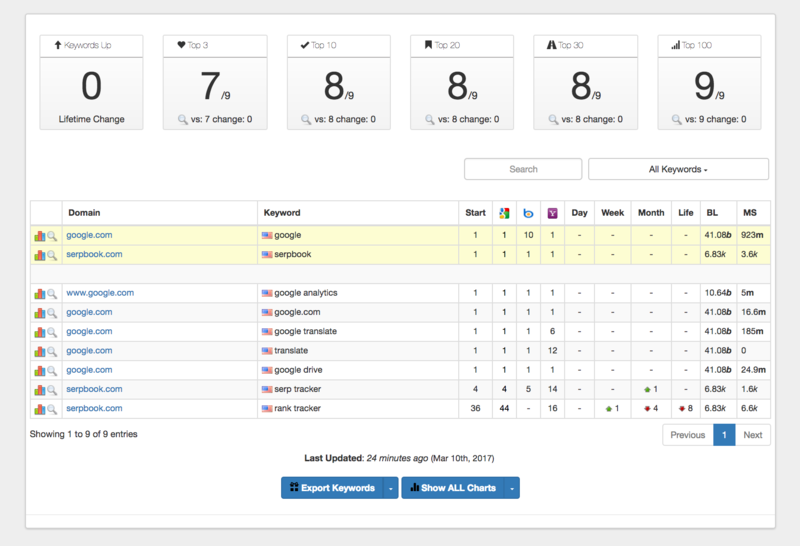 This feature allows you to iFrame a ViewKey seamlessly integrate it on your own domain.